Sharon Jones, notable queen of R&B and soul, has passed away. The “100 Days, 100 Nights” performer dedicated her life to keeping the passion of the genre alive. With a talent beyond belief and an unparalleled ambition, Jones released a phenomenal collection of tunes throughout her career. Hits like "Something’s Changed" and “How Long Do I Have To Wait For You?” will live on forever, as well as her impact on the music community. In honor of the late singer, we’ve rounded up a collection of her most memorable moments onstage. 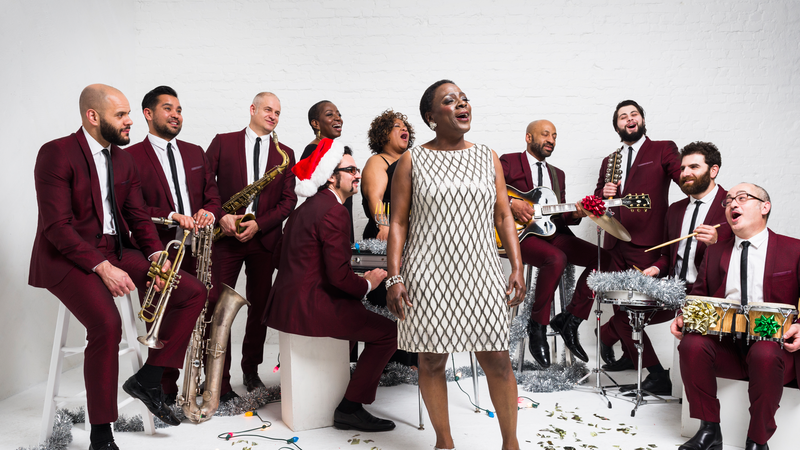 If you're anything like us, Sharon Jones & The Dap Kings' It's A Holiday Soul Party, will be blasting through our decked halls this holiday season. Thank you to Miss Jones for her incredible contributions to our music libararies. 2. Her collaboration with Tedeschi Trucks Band. 3. Performing her on twist on American classic. 4. Her wonderful tribute to Amy Winehouse. 5. Her swanky 2009 duet With Michael Bublé. 6. This Tiny Desk performance. 7. When Prince surprised her onstage with a guitar solo.